Mark Lawrence: Half a million! 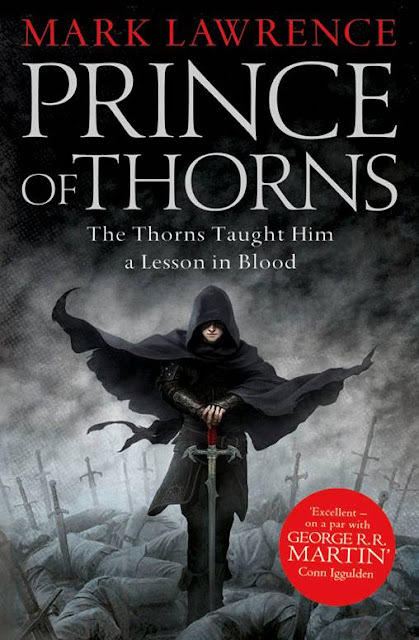 Prince of Thorns recently sold its five hundred thousandth copy! That's it really. Just reporting a milestone. When I signed the contract in January 2010 there was a clause where the royalties on the book increased marginally when the number of copies sold exceeded 100,000, and I remember thinking *yeah, right* and *as if*. I thought that selling 1,000 would be great and 10,000 way beyond anything I expected. 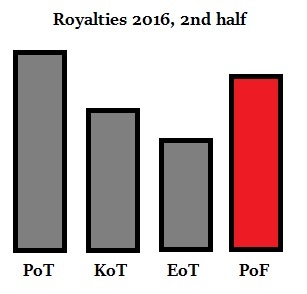 And, since this post is a little thin on info, here (from the royalties statement that let me know the book had sold that many copies) is how my last 6 months royalties break down across my titles. My other titles have yet to earn out their advances (money paid up front by the publisher and repaid, they hope, by sales). So you can see that even today Prince of Thorns is my biggest earner, though Prince of Fools is not far behind.